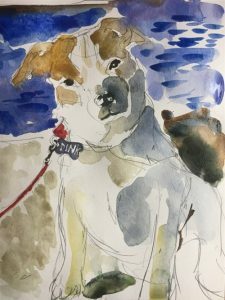 Just in time for the holidays, Joanna Dunn an extremely talented artist and Jacks Galore adopter, is holding a fundraiser for the jacks at Jacks Galore. Joanna has proposed a 50-50 fundraiser to help us make sure we have some extra funds for the winter months. 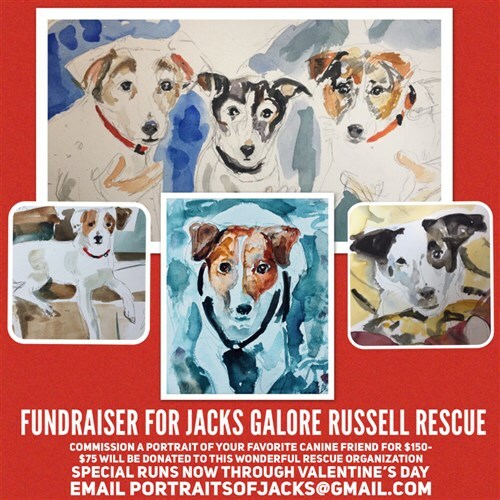 Joanna will paint a watercolor portrait of your Jack for $150 of which she will donate $75 back to the rescue. Joanna captures the character and personality of our jacks in such an intimate way; with beautiful brushstrokes, lightness of colors, and a deep knowledge of who these dogs are. This generosity of her time and talent is very meaningful to us, as she has not only adopted a dog from JG but has done some commissions for our alumni jacks. 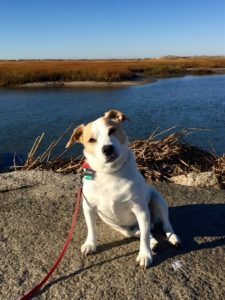 JG mom’s introduction to her work was a small gift to us when sanctuary Pogo, a shorty Jack Russell close to my heart, passed away shortly after they adopted their pup. It was a gift like no other, because Pogo’s character and life just sprang from the page. 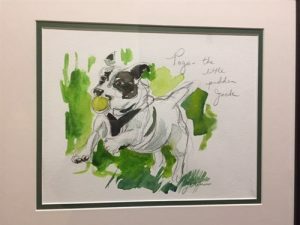 I hope everyone can recognize how generous this fundraiser is, and how special it is to have your JRT or jacks captured in art as something that will carry on long after they leave our hearts. I look forward to hearing how many of you enjoy the portraits she paints. Thank you Joanna, from all the jacks here, we are blessed to have you as part of our extended family.